Train the Trainer courses for all levels of trainer. 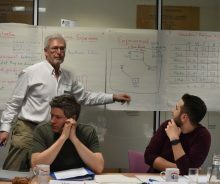 Foundation Skills to Facilitation Techniques. Fit your learning and development around your job. From £14.70 + VAT per licence. Do you prefer to learn in a group? 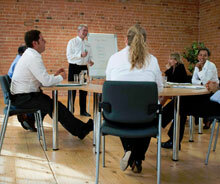 Fully tailored training designed to fit your needs and your budget. How to become a successful interviewer. An online course, downloads and in-company tailored programmes. Time Management, Presentation Skills, Minute Taking, Train the Trainer, Assertiveness, Management Development. A big THANK YOU to all our loyal clients over the years. We have just completed and launched our amazing online qualification for trainers who are serious about being trainers. 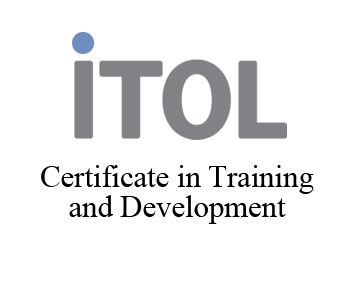 The Certificate in Training and Development online programme will enable you to become a fully qualified professional trainer and entitle you to use the letters MITOL (Member of the Institute of Training and Occupational Learning) after your name. Awesome! 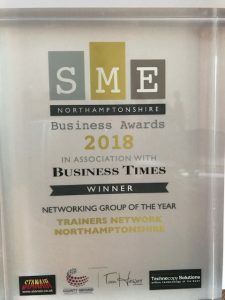 We run the award winning Trainers Network Northamptonshire. This is a not for profit network which enables trainers to come together four times a year to learn and share. See below for further details. 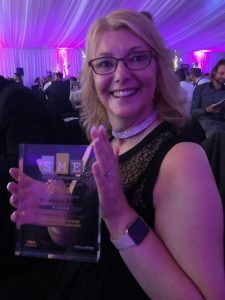 Our network, the Trainers Network Northamptonshire was Runner-Up Networking Group of the Year in the SME Northamptonshire Business Awards 2017. But this year, we are the WINNERS! So we are even more Awesome! 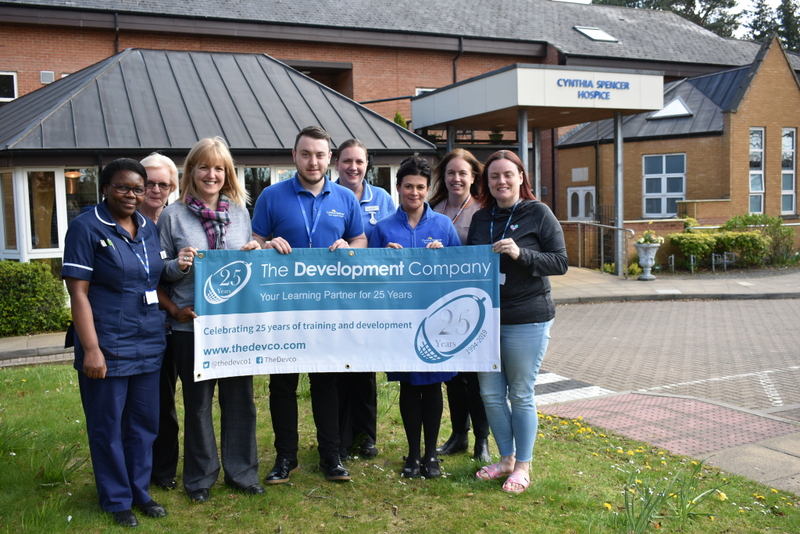 This is a huge achievement for Kay Buckby, Director, The Development Company, who runs the Trainers Network Northamptonshire as a non-profit group to enable trainers to meet regularly to share and learn from each other. 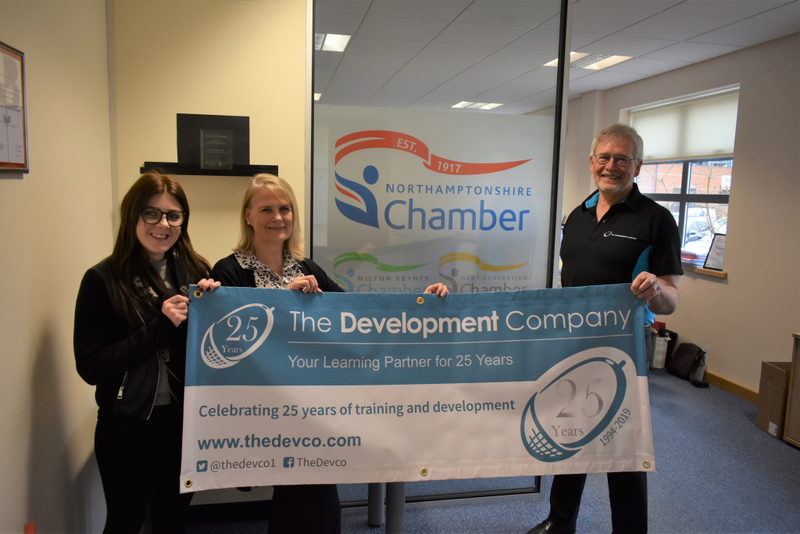 Click the link below to read more on the Trainers Network Northamptonshire website. 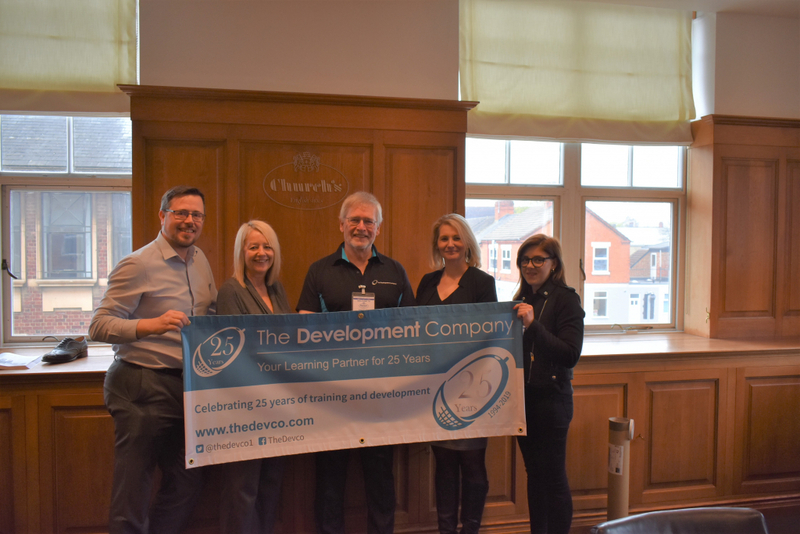 Your training and development is designed and provided by professional trainers who ensure that each programme contains measurable objectives and involves active learning. We use the most proven and reliable methods of learning. 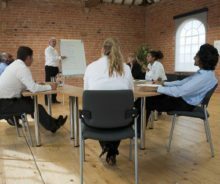 People learn better when the training and development they experience is professionally designed and delivered based on current learning psychology. This means that learners need to be actively involved in the learning and can embed their new skills, knowledge and attitudes prior to returning to the workplace. Good quality learning will also provide learners with follow-up support from their trainer to help them deal with specific queries and questions arising from the implementation of what they have learned. Training and development should always be provided by fully qualified trainers with appropriate qualifications as trainers, facilitators and/or coaches. Our trainers are all qualified and will only train in subjects in which they have personal experience. 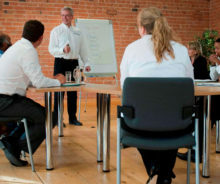 Training and development designed and delivered to your tailored requirements. 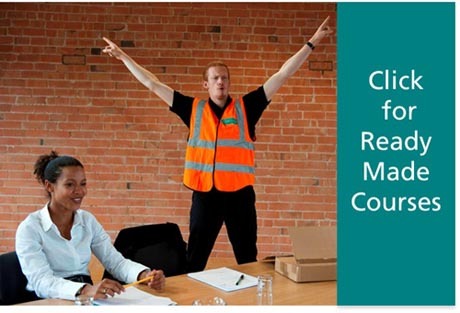 The more popular courses provided on a regular basis as open courses at our Milton Keynes venue. Complete courses which include DVD based professionally filmed scenarios, trainers notes, handouts and all activities for you to run yourselves. Training and development provided as highly interactive online packages. A range of train the trainer qualifications produced in partnership with the Institute of Training and Occupational Learning. 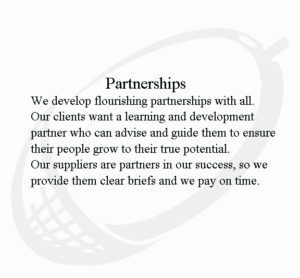 Contact us to talk through your specific training and development needs. 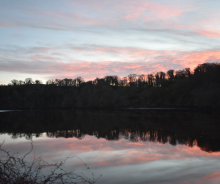 Call us on 01604 810 801 or complete the form on the Contact Us page.